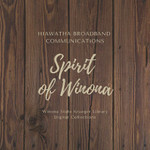 Hiawatha Broadband Communications - Winona, Minnesota, "Sesquicentennial Patriotic Gospel Concert" (2001). Spirit of Winona. 101.